Daniel Kupfert Heller’s new book, Jabotinsky’s Children: Polish Jews and the Rise of Right-Wing Zionism, explores the development of Vladimir (Ze’ev) Jabotinsky’s particular brand of statesmanship and political activism alongside the actions and principles of Betar, the youth group affiliated with Revisionism. Previous studies of Jabotinsky (and there are many, from the laudatory to the defamatory, most recently Hillel Halkin’s Jabotinsky: A Life, in 2014) have focused almost exclusively on Jabotinsky’s ideology and statesmanship, and very little on the large number of Polish Jews—many of them young people—whom he influenced. Jabotinsky’s fame, or notoriety, is, however, due mainly to his legacy; he himself did not live to see the creation of the State of Israel. In Jabotinsky’s Children, Heller argues that in focusing on the man, we miss an opportunity to understand the political education and imagination of Poland’s Jewish youth, and the vast ramifications of Jabotinsky’s thought as interpreted by his followers. Considering the extent of the death toll of the Holocaust, and what we might call the post-history of Revisionism, uncovering these complex motivations and actions is made all the more difficult. Issues of memory and of the applicability of history to the present loom throughout Jabotinsky’s Children. Jabotinsky’s name has been invoked to justify a diverse array of recent Israeli policies; as early as the introduction, Heller reminds readers that memory and the documentary record are not the same thing, and that (perhaps especially, I would add, with a topic so fraught as Zionism and the State of Israel) we must not let the latter substitute for the former. This is a refreshing step away from contemporary memory politics, and into the lives of those who were inspired by Jabotinsky’s ideas, sometimes to divergent ends. Jabotinsky’s Children is also refreshingly readable for an academic text. Lay audiences will appreciate Heller’s use of colorful examples and anecdotes as much as scholars will appreciate the breadth of his sources, from memoirs to the Yiddish, Polish, and Hebrew press, to reports from the secret police. The youth Heller considers were, by and large, acculturated into Polish life; at the very least, they were educated in Polish. Moreover, Heller demonstrates in case after case how these youth admired Polish political culture, modeling themselves on Polish Catholic youth movements, particularly more militant ones. Far from a Zionism borne from segregation or separatism, then, Heller demonstrates how right-wing Zionism had its origins not only on Polish soil, but also in an unequivocally Polish, and Polish-speaking, milieu. Rooting Revisionism within Poland argues directly against the popular idea that the Land of Israel itself was a wellspring for violence. Revisionism could, in fact, be considered a Jewish Sanacja, the regime brought to power after Józef Piłsudski’s coup in 1926 (57-58). Piłsudski, a Polish statesman and leader of the Second Polish Republic from 1926-1935, was quite popular with the country’s Jews, despite or perhaps because of his illiberal tendencies. Nevertheless, hero-worship was largely rejected by Jabotinsky, who thought of himself as a statesman. Indeed, beyond the particular case of Revisionism, Jabotinsky’s Children is also the story of a movement taken over by its followers and promoters, and the resulting dysfunctions and crises of leadership. It is therefore a cautionary tale for scholars not to put too much faith in “the power of ideas,” as well as a refreshing break from biographies of Jabotinsky (or indeed, of any political figure). Indeed, though Jabotinsky was thrilled by the sheer numbers of his Polish Jewish followers, he did not believe that they knew much about Revisionism (59). 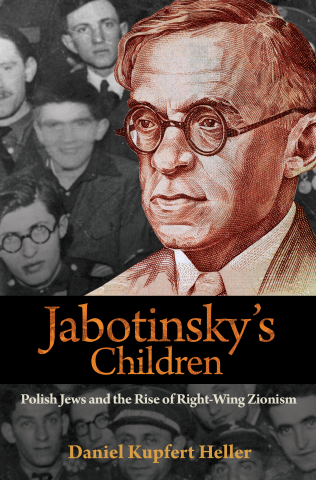 Jabotinsky’s Children functions to an extent as a collective biography of Jabotinsky “adherents,” charting the ways in which they worked with and against him, and the ways in which Polish Jewish youth generally struggled to find their political home. 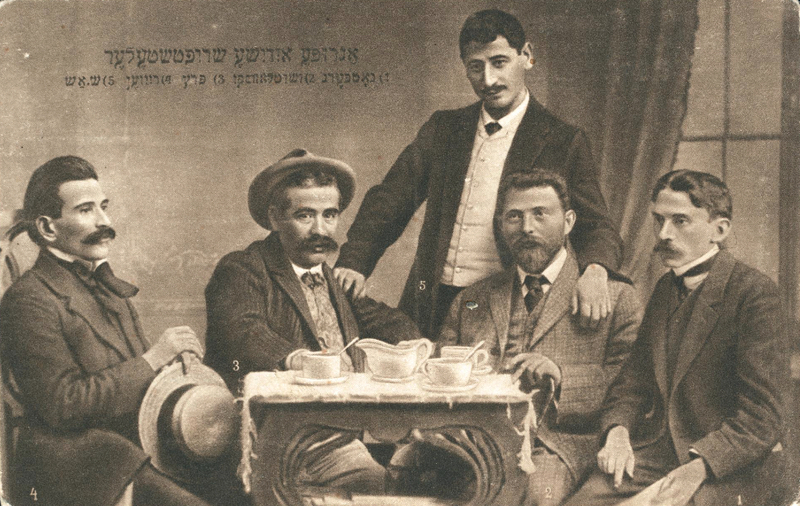 For those interested in language politics, the penultimate chapter, “Taming the Shtetl,” will be the most informative, though language-related issues are scattered throughout the book. The harshest condemnation of Betar came from the Bund, in Yiddish; the newspaper Naye Folkstsaytung called them “Zionist fascists.” This type of language/politics cleavage, where the Yiddish language serves as an opposing force to militant Zionism, is familiar and well-worn. But language and Betar, and Jabotinsky himself, is a much more complicated subject, as Heller demonstrates. Throughout his career, Jabotinsky responded to his “base,” modifying his message. In 1927, he recast his aims, and began to claim to speak for Jews in Nalewki and Kazimierz, that is, poorer, Yiddish-speaking Jews living in the Jewish districts in Warsaw and Krakow, respectively (59-60). Prior to that, everyday Jews did not interest Jabotinsky, an Odessan intellectual with little time for neither shtetl nor ghetto Jews. This move towards the everyday Jew would seem to invite an embrace of Yiddish language, which Jabotinsky, as a product of cosmopolitan Odessa, had previously spurned, in favor of Russian. In the imagined future Jewish state, however, Hebrew would reign supreme, and Betar developed and used Hebrew terminology, much like other Zionist movements (172-173). 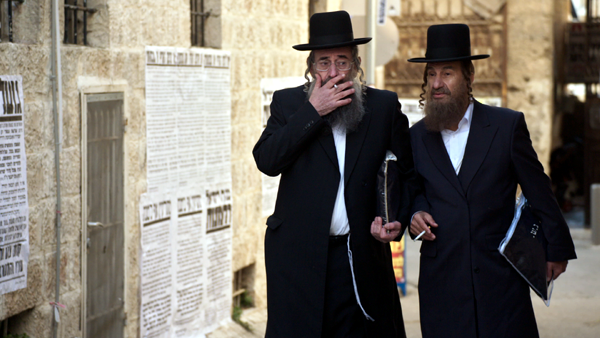 Yiddish, though widely used, was given lower status (195). This story is also a familiar one, where Yiddish was used instrumentally, not ideologically. What is even more interesting for readers interested in language particularly is the use of Polish slogans drawn from Poland’s national anthem and from the hymn of the Polish Legion (134). This third element, alongside Hebrew and Yiddish, complicates the lumping of Yiddish with doikayt/progressivism and Hebrew with Zionism/militancy, a trope that retains its appeal if not its legitimacy. Indeed, Jabotinsky’s audience was primarily Polish Jewish youth; by the interwar period, most Polish Jewish youth were educated in, and comfortable with, the Polish language (in Galicia, this had been the case for far longer). Furthermore, Heller demonstrates throughout Jabotinsky’s Children how the different geopolitical and cultural histories of Jews in interwar Poland influenced the degree of understanding and embrace of Betar. Galician Jews, heirs to the region’s Habsburg legacy of full participation in parliamentary politics, gravitated towards a more moderate, compromising Zionism (and to politics practiced in Polish). Jews in the former Pale of Settlement, by contrast, did not hesitate to embrace more radical forms of politics, a result, Heller argues, of being shunted out of national politics until the dissolution of the Pale and the absorption of the kresy, the far eastern Polish lands, into the new Second Polish Republic. Heller manages to accomplish two seemingly opposite tasks in Jabotinsky’s Children. On the one hand, he places Revisionist Zionism, and the general right-wing Zionism that is still a potent force in Israeli politics, squarely within a normal, organic process of development beginning in Poland. Scholars of Zionism have long argued that Zionist movements should be considered not from the vantage point of Israel, or of Mandate Palestine, but from their European roots. This analysis, however, has often focused on a tension between an eastern, Odessa-based Hovevei Zion, and the more assimilationist, “Western European” Zionism of Theodor Herzl. Heller inserts Poland, not just the territory but the state itself, squarely into this binary, demonstrating a particularly Polish branch of Zionist ideology. In this way, Revisionism is normalized as a product of larger political trends, not of any unique position of Palestine and later, the State of Israel. At the same time, Heller’s focus on the details of the interactions between the Revisionist leader, Jabotinsky, and his followers, leads to a slightly different, though not incompatible, conclusion: that Revisionism’s seemingly outsized role in contemporary Israeli life (as Heller makes abundantly clear with numerous references to contemporary statesmen claiming to draw on Jabontinsky’s ideas) is aberrant precisely due to the disconnect between Jabotinsky and his followers, and the resultant tendency to use Revisionism as a convenient receptacle for individual youth leaders’ own politics, however contradictory. Heller describes how Betar leadership in Warsaw regularly clashed with local branches over matters of ideology and strategy, such as on the question of what language to use; branches sent letters to Warsaw in Yiddish rather than Hebrew, a clear violation of Betar’s ideology. Given that many youth joined Betar not out of ideological conviction but rather as a way to meet potential romantic partners or to be part of any youth group, this should not surprise us. And yet, since previous analyses have focused so heavily on Jabotinsky’s ideology and statecraft, or on the directives from the Warsaw-based Betar leadership, the divisions and confusion within Betar’s rank and file have not been fully explored until now. Heller’s account offers a corrective, shining new light on how Jews, especially Jewish youth, in Poland actually perceived their political and social options, and how they made sense of their shifting world. Zarrow, Sarah Ellen. “Coordinated Movement? : Vladimir Jabotinsky and Polish Jewish Youth.” In geveb, October 2017: https://ingeveb.org/articles/coordinated-movement-vladimir-jabotinsky-and-polish-jewish-youth. Zarrow, Sarah Ellen. “Coordinated Movement? 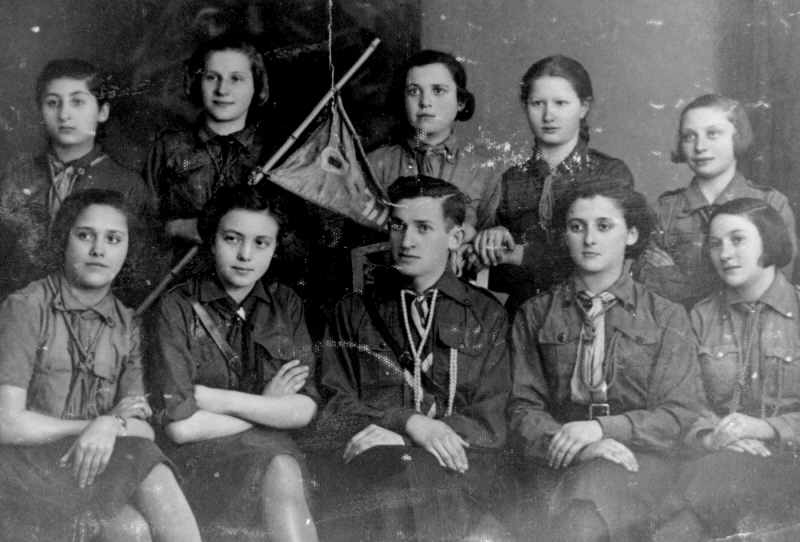 : Vladimir Jabotinsky and Polish Jewish Youth.” In geveb (October 2017): Accessed Apr 22, 2019. 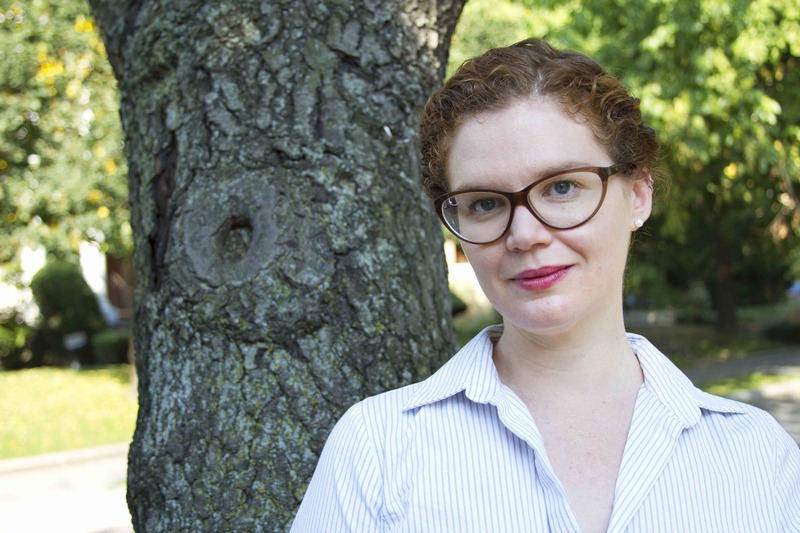 Sarah Zarrow is on the editorial board of In geveb. She is Professor of Jewish History at Western Washington University, where she teaches courses in Jewish history and the Holocaust.